how incredibly good does this look? 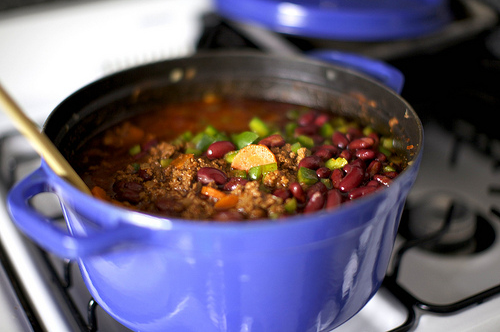 Chili is an absolute staple in our house during the Fall and this little twist on tradition would be perfect for Sundays. Who says football grub can't be a little gourmet and dare I say it...absolutely adorable. 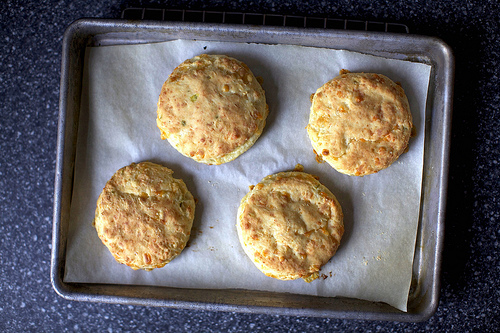 See how to make your own Beef Chili + Sour Cream and Cheddar biscuits here. I would definitely go to a football party serving these! 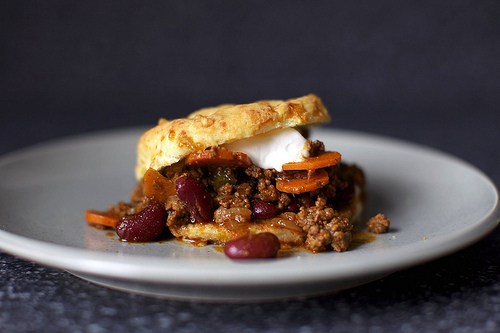 Mmmmm I would have never thought of chili with biscuits! Sounds yummy! I've been craving chili with a little break in the heat here in NC! I'm really ready for fall weather and some boots!